We often think of Venus as our closest Solar System sibling. It’s the most similar to Earth in size, mass and composition. And we thought it was the closest in terms of physical distance – but it looks like that honour could belong to Mercury. No, the order of the planetary orbits is still the same. Mercury is still the innermost planet, and Venus’s orbit is still closest to Earth’s orbit. 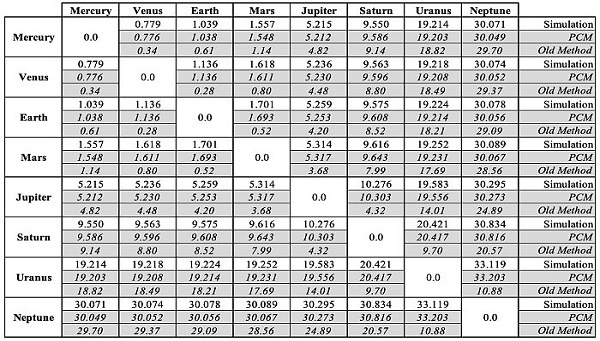 But, according to new calculations, Mercury is on average closer to Earth than our erstwhile BFF. It sounds counterintuitive, doesn’t it? And perhaps that’s what led us to the misconception in the first place. “By some phenomenon of carelessness, ambiguity, or groupthink, science popularisers have disseminated information based on a flawed assumption about the average distance between planets,” write engineers Tom Stockman, Gabriel Monroe, and Samuel Cordner in a commentary published in Physics Today. “By using a more accurate method for estimating the average distance between two orbiting bodies, we find that this distance is proportional to the relative radius of the inner orbit. The team, whose workplaces span Los Alamos National Observatory, US Army’s Engineer Research Development Center, and NASA, is yet to publish their calculations in a peer-reviewed paper, but the authors note they are looking forward to scrutiny from the scientific community. The way we usually calculate the distances between the planets, the team notes, is based on their distance from the Sun. Earth, on average, is one astronomical unit (AU) from the Sun. Venus is 0.722 AU. Mercury is 0.387 AU. But if you subtract Venus’s distance from Earth’s, what you actually get is the average distance between their orbits – not the distance between the planets themselves. Because the planets move at different speeds, they spend a bunch of time on opposite sides of the Sun. Because Mercury is closer to the Sun, the distance between it and Earth when they are at their farthest distance is much smaller than the distance between Earth and Venus. The team has devised the “point-circle method” or PCM equation for calculating the average distance between two planets in concentric, coplanar (on the same orbital plane), circular orbits. According to their results, it’s not just Earth. Mercury is actually, on average, the closest planet to all the other planets, too. Yes, even Neptune, all the way out in the Solar System’s fringes. And yes, even distant dwarf planet Pluto (although its highly elliptical orbit complicates the maths). 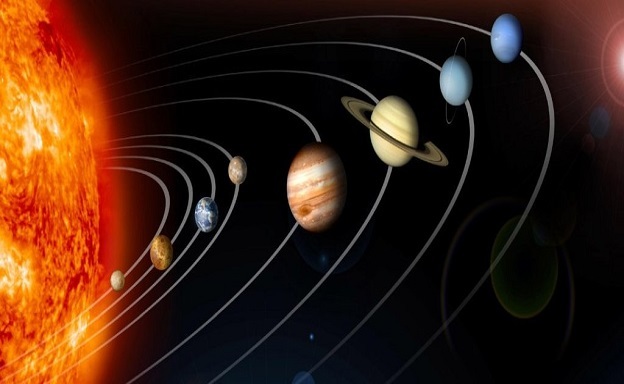 To test it out, they created and ran a simulation charting the positions of all the planets in the Solar System over a period of 10,000 years, and compared the results with the traditional distance measurements and the PCM results. The simulation only varied by 1 percent with the PCM – but up to 300 percent with the traditional distances. Yikes. “As best we can tell, no one has come up with a concept like PCM to compare orbits,” the engineers write. “With the right assumptions, PCM could possibly be used to get a quick estimate of the average distance between any set of orbiting bodies. Perhaps it can be useful for quickly estimating satellite communication relays, for which signal strength falls off with the square of distance. One can never have too many planet pals, though. We’re all for inducting Mercury into the planetary best friend club, rather than kicking Venus out. We still love all of our neighbours, near and far. Even you, distant dwarf planet Pluto.